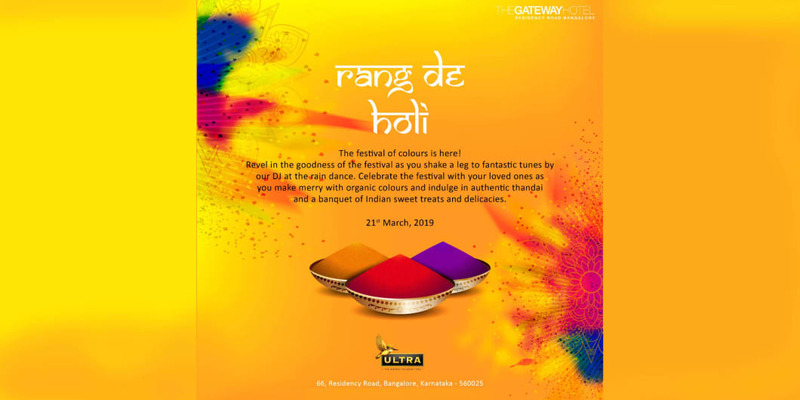 RANG DE HOLI - Let festival of colours is here at The Garden Side of Taj Gateway Hotel at Residency, Road ! ! ! Revel in goodness of festival at Desi Holi to shake your legs to tune of best DJ of Town at Rain Dance with organic colour. Let’s celebrate the festival of colour with loved once at most happening & safe 5 Star Hotel of Central Bangalore, lets indulge in Authentic Thandai, Indian Savory and delicious indian sweet. Also avalilable a large option of beverage from our Sphyre lounge. 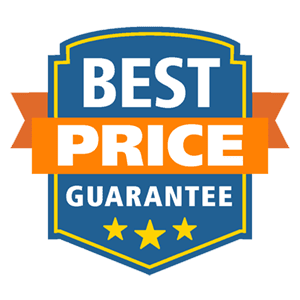 Venue –Garden Side hall at Taj Gateway Hotel. Selected Dj from India on console & Artist yet to be announced. Organic Colour & fresh water. Rain shower, Shot & water tank. Special Details: Event starts at 11:30 AM.